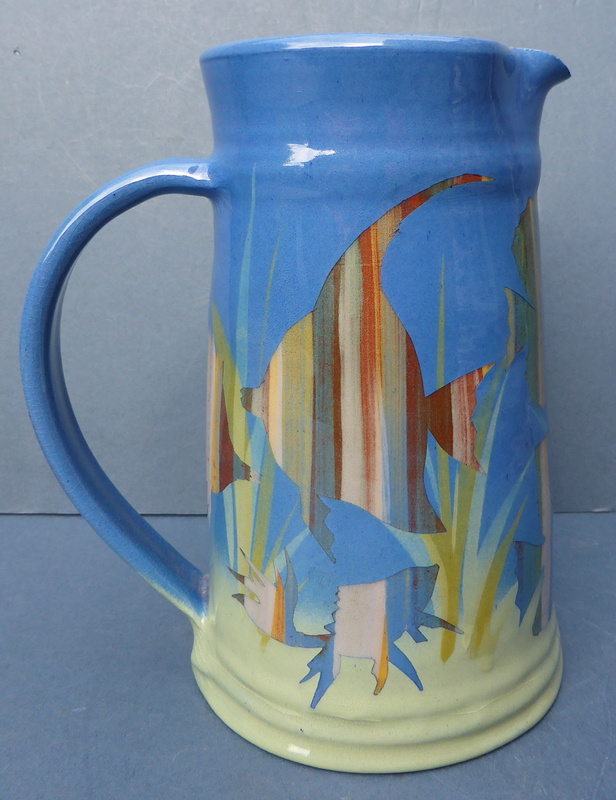 Attractive Fish Jug - any ideas who made it?? Has anyone got any idea who made this jug. It is made of red clay with an unusual fish design. The blue surface paint almost seems to have been cut away to reveal the striped glaze below which forms the bodies of the fish. Quite distinctive but I've not seen anything like it before. it stands 6.5" tall. 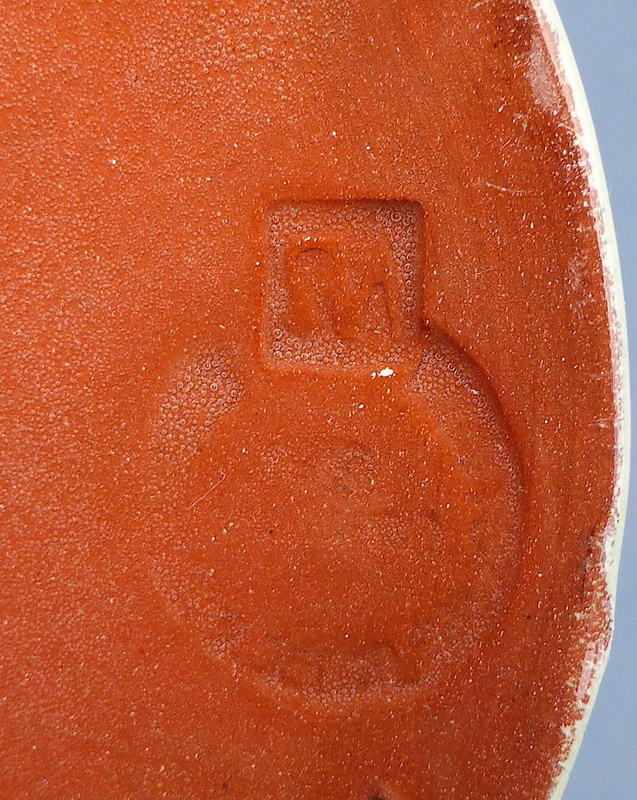 There is an indistinct impressed mark on the base - a round mark and what look like some initials - looks like a backwards N and S, or S and then backwards N, or maybe Z over something - I'm just not sure, and can't make out what it says in the ring at all. 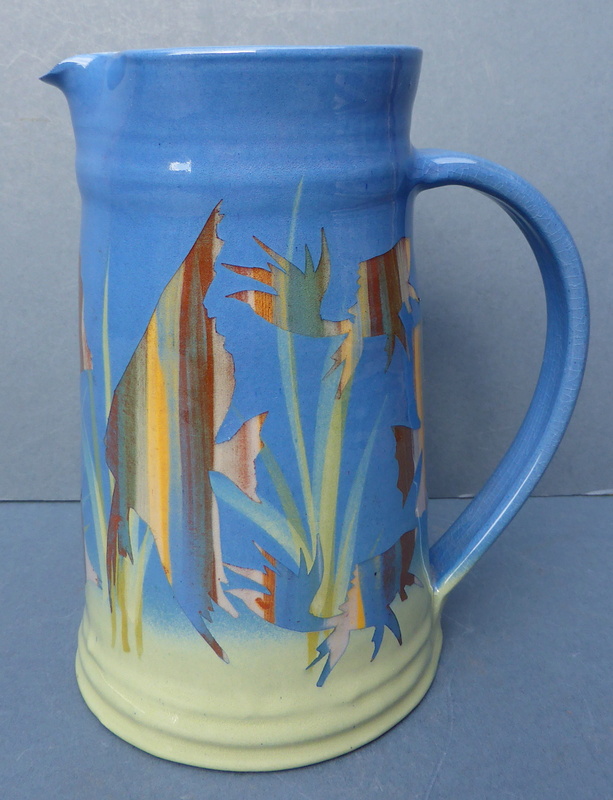 Re: Attractive Fish Jug - any ideas who made it?? Could the round mark be Buckfast abbey? I very much doubt if its Buckfast Abbey, just nowhere near their what they did. Not even too sure if it studio pottery, looks a bit too crisp. There were still a lot of small British commercial potteries making tourist giftware back in the 70's before mass foreign tourism took off. This strikes me as somewhere in that area. That vivid light blue glaze is a such a hit you in the eye colour. In a shop window or on a gift shelf it would shout out at you! In another life back then, we sold such touristy stuff down in the West Country. Reminds me of the middle of that trade. So reminiscent of the beach and seaside. The mark does look a little like the Buckfast Abbey mark, but I don't think it was made there. I agree with Philpot - the finish is just too crisp. The technique used for the decoration is very unusual. As mentioned before, the top layer of colour appears to have been cut away where the fish are, allowing for very crisp images. I've not seen this technique before before so would be interested to find out if it is a studio piece or a more mass produced tourist piece. Sounds like they are using a paper stencil. The bottom colours are applied, the paper fish are laid on and then the top blue coat applied and the paper is peeled off. 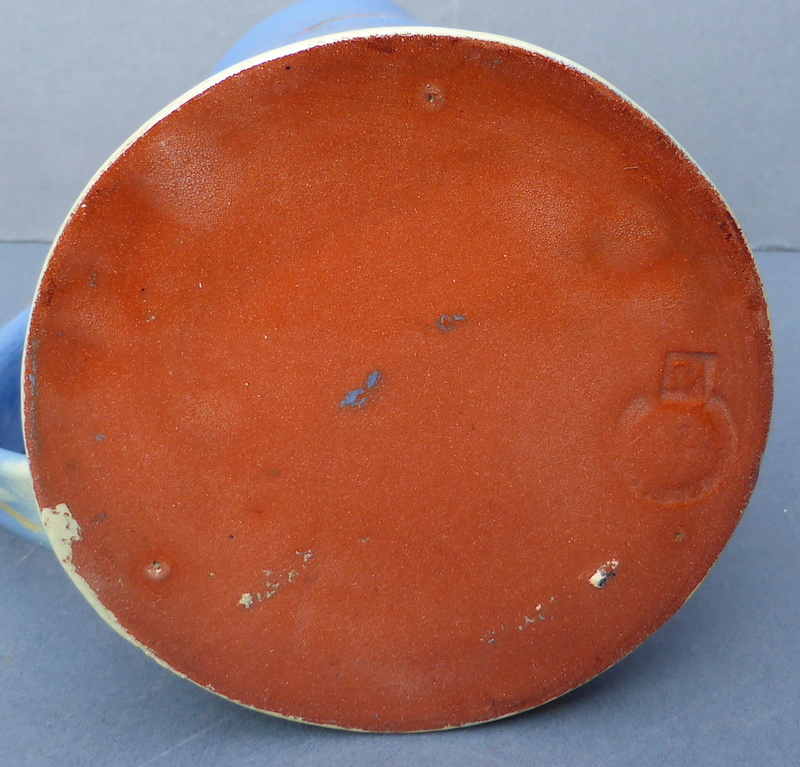 Tegear Pottery uses a similar method, but as others have said, this looks like a more commercial pottery piece.